Education charity CVQO’s annual graduation ceremony for Cadet Force volunteers took place at RMA Sandhurst on Friday 10 October. Over 60 graduate volunteers from all Cadet Forces celebrated receiving their City and Guilds and ILM qualifications, as recognition for their dedication and time spent mentoring cadets nationwide. CVQO Chairman Lord Lingfield opened proceedings, before handing over to Chief Executive Guy Horridge to announce the recipients. Honoured guests, Peter Williams, Master at the Worshipful Company of Educators, and Chris Stephens, Director at City and Guilds were also on hand to offer their congratulations. In addition to those receiving their certificates, four special awards were also presented – three CVQO Awards for Most Outstanding City & Guilds Submission and one CVQO Award for Best International City & Guilds Submission. These were awarded to: Lt Priscilla Ledlie (Middlesex and North London ACF), Major Hugh Wells (Lothian and Borders Battalion ACF), Lt Cmdr Alfred Simpson (Northern Area SCC) and Lt Cmdr Chi On Fung (Hong Kong Sea Cadet Corps). Attending the event, Government Chief Whip and MP for Surrey Heath, Michael Gove said: "Today is a fantastic day to celebrate the achievement and the commitment of the people that do so much to provide young people across the country with an example to look up to. 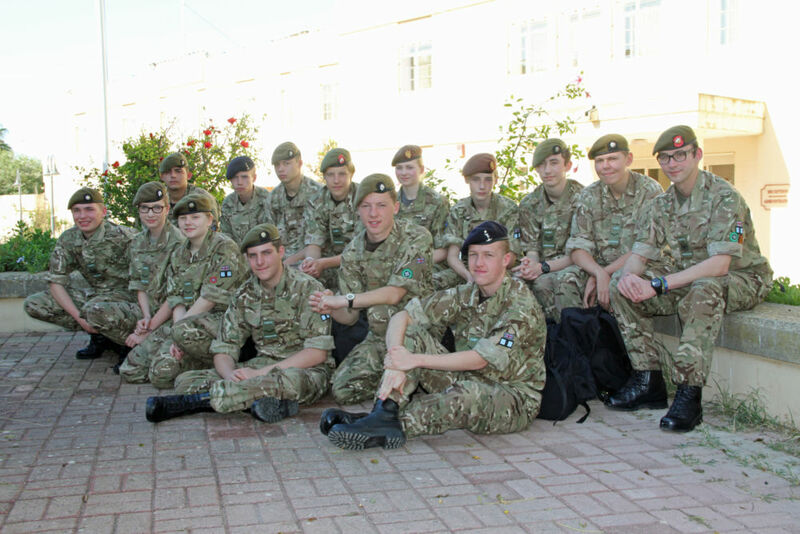 "Cadet Forces do an enormous amount to help instil character in young people and provide them with opportunities they wouldn't otherwise enjoy. Those volunteers who make sure Cadet Forces work are heroes and heroines of every community. "One of the great things about CVQO is that it provides a recognition for those people who have that twin spirit; the spirit of educators, but also that spirit that comes from recognising the advantage of a military ethos in cultivating self-discipline, resilience, grit and character. "The people we are celebrating today are those who take time out of their leisure time in order to help inspire young people and it is absolutely right that we should celebrate what they do - they are the best of Britain." CVQO Chief Executive Guy Horridge said: “Graduation is always a tremendous occasion and RMA Sandhurst offers a prestigious and fitting location for our ceremony. “Sandhurst is a place of education and development where officer cadets are not only taught their military skills but start their careers with education that will be relevant throughout their lives.